This is a simple application of port manipulation using Arduino to paly with the 4*4 button pad. Before read the code, you'd better see the connection diagram first. We use four digital ports as HIGH voltage scanning the row of button pad and four analog ports to read the column of button pad connected with four pull-down resistors. If button is pressed,the voltage will be HIGH when it is scanned by HIGH voltage concurrently. Otherwise, the voltage is pulled down and will be LOW. Using eight ports totally, we can read 16 buttons. 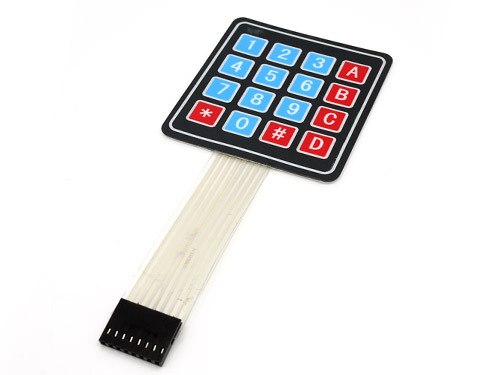 sample code for Sealed membrane 4*4 nutton pad with sticker, it outputs the ASCII code for keys on the pad. Though the previous sample code can drive the button pad. However, this method wastes eight I/O ports. We strongly recommend an other product GPIO, which transforms between parallel and serial data transmission mode. Thus, with a GPIO, we can expand at most 16 I/O ports only using an IIC interface. We have written a more useful code to drive this button pad with a GPIO. Only two I/O ports of Arduino board are used using IIC interface. 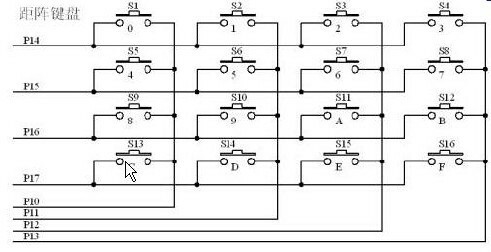 (Analog 4 for SDA(data) and analog 5 for SCL(clock)) Let's see details in GPIO wiki. 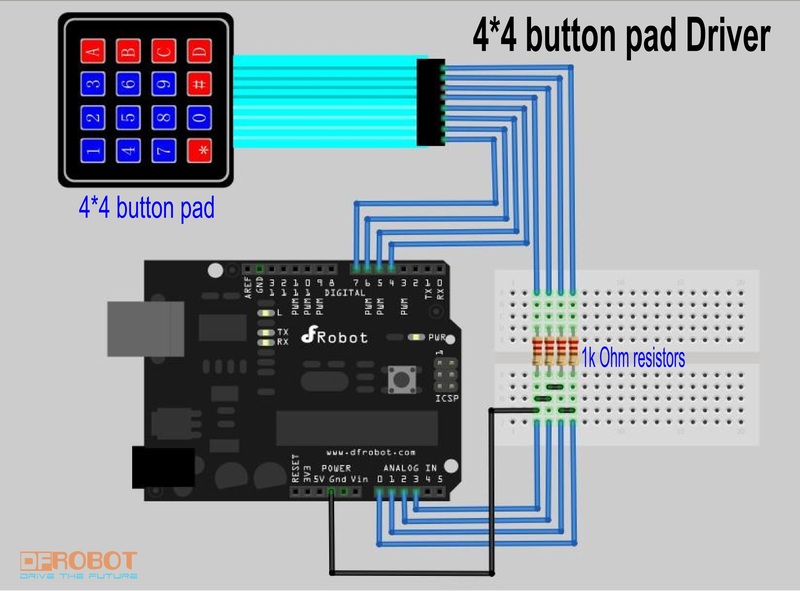 Get Sealed Membrane 4*4 button pad with sticker SKU:FIT0129 from DFRobot Store or DFRobot Distributor.